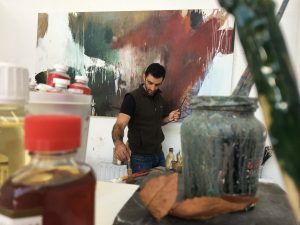 The acclaimed Irish artist Richard Hearns has an upcoming exhibition entitled Journey at Cadogan Contemporary. 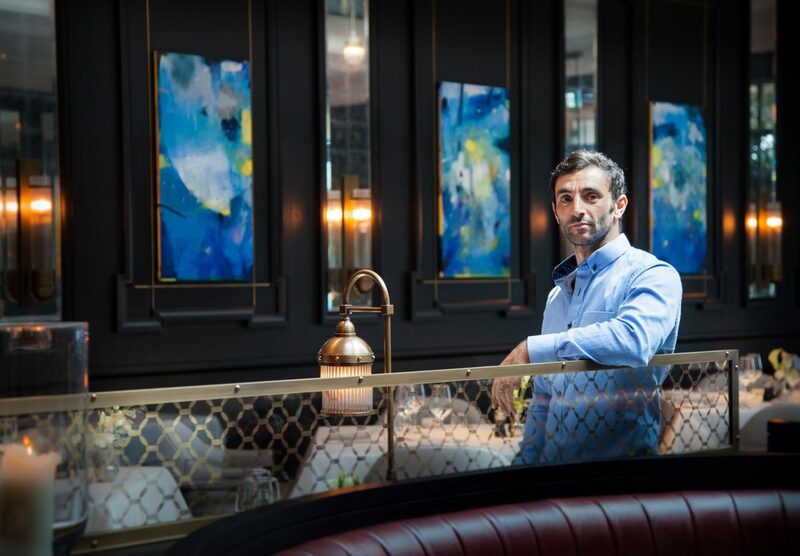 This will be the artist’s first solo show in London and will feature a collection of abstract oil paintings that are concerned with the alchemy of painting, what Hearns describes as an ‘… internal vision, something inside coming out’. The paintings, many of which are life-size – literally the same height as the artist and spanning the width of his outstretched arms – are intensely physical acts, drawing inspiration from the discipline of martial arts, of which Hearns is a practitioner, and the rhythmic nature of Ballyvaughan, County Clare, Ireland, the rural idyll where he lives and works. Physical and instinctive, the canvasses are a flight from tradition. Until 2013, Hearns’ artistic practice was primarily focused on figurative work: still life and landscape. These abstract paintings are in every sense a journey, an attempt to capture something that is not fully understood. 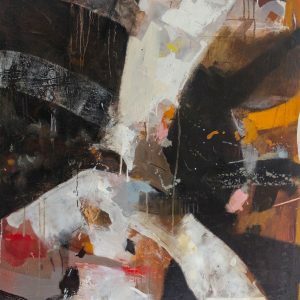 Moreover, Hearns’ paintings are a means to create and discover something new and exciting, guided by a belief that through the possibilities of art, there lies an answer to life’s unresolved questions, and that through paint, something fundamental can be revealed to the beholder and the artist. On the occasion of his exhibition, we had the chance to discuss his practice and inspirations in more detail. I became involved in art from a very young age. I think that encouragement from my parents, teachers and peers was what set me on my way. As a teenager and young adult I was always drawing. The need to express myself through art, to create, to make something beautiful has always been with me. I believe that it is the same for all artists. The art will out! What inspires / motivates you? The sense of discovery. The ‘stuff of paint’. Music. They all draw me to the studio. The chance to use my hands to endeavour to create something new and exciting is a fantastic motivator. To what extent has your dual heritage, (Beirut & Ireland), influenced your work? My father served as an Irish Army officer and UN peacekeeper. He instilled in me a love of travel as well as a deep respect for and interest in other cultures. I was raised in Ireland from six weeks so I am aware that nurture has shaped me to be Irish but Dad tells me that I have many positive Lebanese traits too, so nature must be kicking from inside. With regard to my art I believe that if those traits are coming through, whether I am aware of them or not, then my dual heritage must be playing some part. I am an artist with a primary concern in painting. I would describe my practice as disciplined, diverse and eclectic. 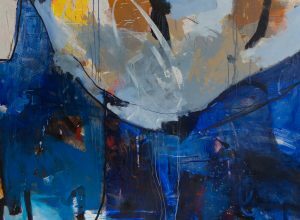 When I am in my studio I explore painting by going between figuration and abstraction. The first is more a cerebral exercise where my eyes and my hands guide the paint. These works present a strong pictorial concept from the outset. When I paint my abstract works there is an altogether more instinctive action. The work comes from some place deep within me. They surprise and present themselves. Working this way is very exciting and keeps me engaged on many levels. Can you say more about your current exhibition Journey? My exhibition at Cadogan Contemporary on Old Brompton Road is a collection of nineteen works. It runs from September 17th to October 5th. Many of the works displayed are large-scale informal abstracts which are designed to be the size of my body or a space that my body could inhabit. What is presented to the viewer is a colourful painterly surface where the energy that was transferred is now balanced and floating in meaningful ratios on the canvas.